What is understanding and how does it differ from knowledge? How can we determine the big ideas worth understanding? Why is understanding an important teaching goal, and how do we know when students have attained it? How can we create a rigorous and engaging curriculum that focuses on understanding and leads to improved student performance in today’s high-stakes, standards-based environment? 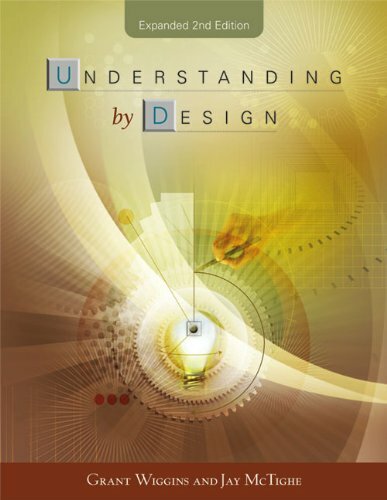 Authors Grant Wiggins and Jay McTighe answer these and many other questions in this second edition of Understanding by Design. Drawing on feedback from thousands of educators around the world who have used the UbD framework since its introduction in 1998, the authors have greatly revised and expanded their original work to guide educators across the K–16 spectrum in the design of curriculum, assessment, and instruction. With an improved UbD Template at its core, the book explains the rationale of backward design and explores in greater depth the meaning of such key ideas as essential questions and transfer tasks. Readers will learn why the familiar coverage- and activity-based approaches to curriculum design fall short, and how a focus on the six facets of understanding can enrich student learning. With an expanded array of practical strategies, tools, and examples from all subject areas, the book demonstrates how the research-based principles of Understanding by Design apply to district frameworks as well as to individual units of curriculum. Combining provocative ideas, thoughtful analysis, and tested approaches, this new edition of Understanding by Design offers teacher-designers a clear path to the creation of curriculum that ensures better learning and a more stimulating experience for students and teachers alike.